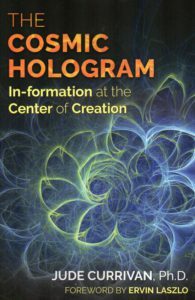 Jude Currivan’s exciting new book, The Cosmic Hologram. “Our understanding of the Universe is about to transform at all levels, from the tiniest Planck scale to the vast reaches of space. Recent scientific discoveries show that the information that upholds all of our modern technologies is exactly the same as the universal in-formation that underpins, pervades and is all we call physical reality. About the Author: Jude Currivan, Ph.D., is a cosmologist, futurist, planetary healer and previously one of the most senior business women in the UK. She has a master’s degree in physics from Oxford University and a doctorate in archaeology from the University of Reading in the UK. She has traveled extensively, worked with wisdom keepers from many traditions, and is a life-long researcher into the nature of reality. She is the author of 5 books and is a member of the Evolutionary Leaders circle. 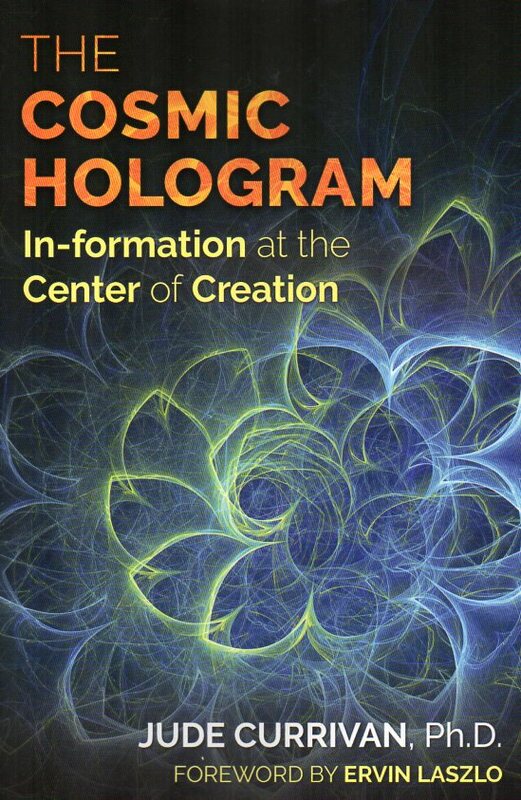 Click here to view an interview on youtube with Dr. Jude Currivan about her new book, The Cosmic Hologram. The book is available from retailers or online at Amazon.